From May, EU law means that networks must make 12-month mobile phone contracts available and cannot offer contracts longer than 24 months. Ken Lo looks at the impact on UK mobile consumers. 1 What does the EU telecoms package mean for consumers? 2 How long are mobile phone contracts taken out for in the UK? 3 Why have 24-month mobile phone contracts taken off so rapidly? 4 Will the new 12-month contracts take off with consumers? 5 Are 12-month mobile phone contracts available today? 6 Is this package good for consumers? 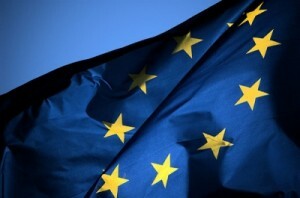 What does the EU telecoms package mean for consumers? Consumers must have the option of signing a 12-month contract. This is the piece of legislation which has received the most attention in the press recently. We think it’s great that consumers are given the option of signing for 12 months but we’re not sure there will be any significant changes in how the market operates. Mobile phone contracts cannot exceed 24 months. This will prevent further “drift” towards longer contracts (see figure below). As mobile phone contracts of over 24 months aren’t widely offered in the UK, consumers will not notice any changes. Transferring a phone number should take no more than 1 working day. Under the status quo, transferring your phone number between networks with a PAC Code can take up to 2 working days. How long are mobile phone contracts taken out for in the UK? 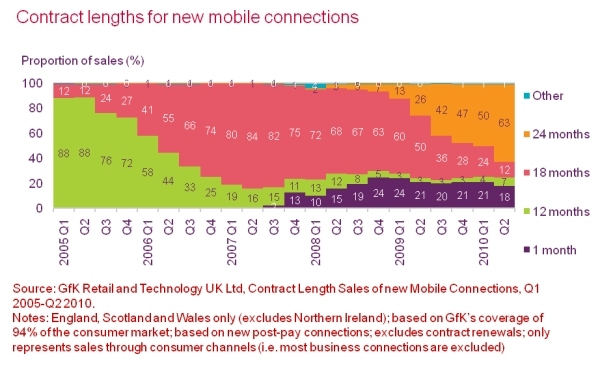 The following diagram from Ofcom’s Communication Market Report 2010 (Figure 5.24) shows the contract length of mobile phone contracts taken out between 2005 and 2010. 12 month contracts were pretty popular in 2005 and early 2006 but since then we’ve seen a huge growth in 18 month contracts and consequently 24 month contracts too (from 2008 onwards). As of today (2011), the vast majority of new mobile phone contracts are 24 months. Another interesting trend to note is the huge growth in 1 month contracts starting from 2008. This is due to the rise in popularity of SIM-only tariffs which only provide airtime (no phone is bundled with SIM-only tariffs). 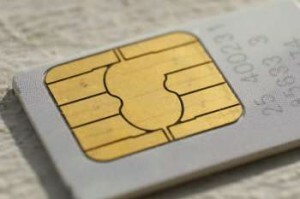 SIM-only tariffs are typically offer savings of between £15/month and £20/month compared to traditional contracts. Why have 24-month mobile phone contracts taken off so rapidly? Mobile network operators usually offer a “free” phone with Pay Monthly contracts. With these tariffs, they split up the cost of providing the phone and incorporate that cost into your monthly charge. 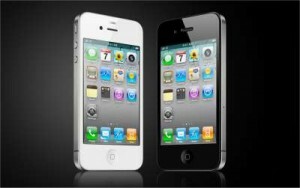 Around £15 to £20 of your mobile phone contract will typically go towards the cost of the phone. 24-months first register in the graph at the start of 2008 – roughly coinciding with the launch of the original Apple iPhone in November 2007. With the iPhone costing upwards of £500 to buy SIM-free (without a contract), network operators essentially had three ways to recoup the cost of providing the iPhone on contract: to charge for it upfront, to increase the monthly price on the contract or to extend the length of the contract (to recoup the cost over a longer amount of time). Network operators chose to do all three – the iPhone typically had (and still has) an upfront cost on contract, is often only available on higher-priced tariffs and typically only on longer contracts (18-24 months). Fast forward to 2011 and now the vast majority of mobile phone contracts are 24 months (iPhone or otherwise). Most networks offer a combination of 18 month and 24 month contracts although some networks such as Three now only offer 24 month contracts. Tesco Mobile has bucked the trend by offering 12 month contracts but they tend to charge fairly hefty upfront costs to make up the cost of the phone. We certainly think it’s no bad thing that people should be able to have a smartphone without stumping £500 upfront. Mobile technology enhances lives in many ways and everyone should have access to it. That’s why we don’t think it’s a bad thing to have the option of taking out a 24 month contract – it splits up the cost of a pricey smartphone over 2 years. And 2 years isn’t a bad amount of time to own a phone for either: software updates are now fairly commonplace for smartphones – your 2-year-old smartphone could still have the latest software and latest features. What does worry us is the lack of flexibility in a 24-month contract: it is nigh-on-impossible to leave early if you’re experiencing bad customer service, bad signal/coverage or you just spot a better deal elsewhere. The challenge for telecom regulators is to strike the fine balance between making mobile technology widely available and ensuring that the telecoms marketplace remains competitive. Will the new 12-month contracts take off with consumers? We’re doubtful. The fact is that 18-month contracts are widely available today yet most people still opt for 24-months. This is probably due to the fact that 18-month contracts tend to be more expensive (by around £5/month) and sometimes come with additional upfront costs for the handset. There is no reason to believe things will be different with 12-month contracts – I expect the monthly charge will be hiked again perhaps with some additional upfront charges for the handset. It’ll be interesting to see how the mobile operators will interpret this new legislation. It’s possible they could simply bundle a SIM-free handset with a SIM-only contract into one package. This would essentially mean no changes for the consumer at all: such a bundle can already be created by consumers themselves (e.g. you could buy an iPhone 4 direct from Apple for £500 and then purchase a £15/month SIM card on a 12-month contract). Are 12-month mobile phone contracts available today? Yes. Simply buy a SIM-free phone from the retailer of your choice and then purchase a SIM-only contract on any network. Is this package good for consumers? The “EU Telecoms Package” certainly isn’t a bad thing for consumers – it increases choice. But if you’re hoping to be able to get the latest smartphone for free on a 12-month contract at the same cost of today’s 24-month contract, don’t hold your breath. There won’t be a seismic shift in the market – 24 months is going to remain the norm.